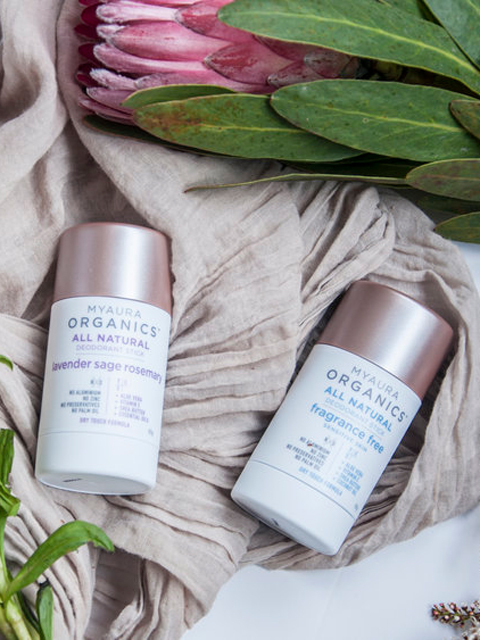 Thanks to MyAura Organics here is your chance to win one of 5 x MyAura Organics Packs valued at $36, each, including 4 x MyAura Organics Deodorants. As demand for clean beauty becomes the major trend for 2019, MyAura Organics all-natural deodorants set the standard, using only nature-enriched ingredients that are safe to put on our bodies, and safe for the environment. Free from Aluminum, which many conventional deodorants and antiperspirants contain and can cause negative health effects when used each day, MyAura Organics Deodorants are also palm oil free, vegan-friendly, contain no parabens, and have not been tested on animals. While not an antiperspirant, the deodorants provide a natural and fresh all over scent, will assist with some sweat absorption and will also help to neutralise body odour. They come in a range of lovely scents including Rose Vanilla Jasmine, Ylang Ylang Rose, and Bergamot Lime Coconut. * Q1: Who do you want to win this DVD for?